The thrill of travelling down the road on two wheels is one that many bikers will want to share with their nearest and dearest. 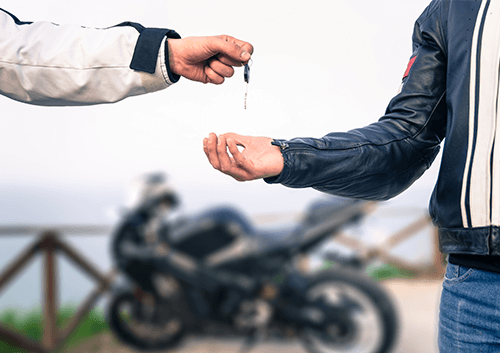 However, taking a pillion on your bike is a big step for any rider and it is important that both the rider and the pillion are aware of how the situation can change when there are two people on a bike instead of one. Here we offer tips to any individual planning on riding pillion on how to be the perfect passenger and help the rider stay safe and in control of the bike at all times. 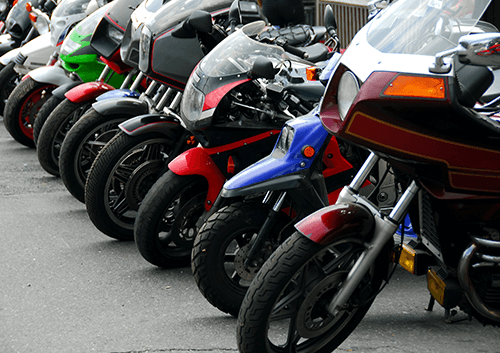 It doesn't matter if you’re an experienced rider with your own bike or a complete novice, anyone planning to ride pillion should read this advice and understand how their weight, position and actions affect the rider. A common mistake made by many a pillion is using the foot-peg to climb onto the bike like it’s some sort of stirrup. This can make it incredibly difficult for the rider to keep the bike upright as all of your extra weight will be concentrated on one area while you climb on. Instead, throw your leg over the bike, keeping your other foot firmly on the floor. Once straddling the bike with your legs you can sit on the seat and position your feet on the foot-pegs. You may want to walk round the bike and manually fold these down before mounting the bike or use your feet to unfold them once safely on it. The best riding position to adopt as a pillion is one close to the rider. Leaning too far back cannot only be an unnerving feeling for you as the pillion but it can also affect the rider’s ability to take corners safely due to the distribution of weight on the bike. You should also follow the rider’s position when leaning to move round corners so as not to affect the balance of the bike. Leading in the opposite direction to the rider when cornering can cause them to lose control while leaning too far into the corner can cause the wheels to slide out from beneath you as the bike is unbalanced. Always match the rider’s position and lean with, not against, them. Sudden movements can be very disruptive to a rider – both in terms of their concentration and for the balance of the bike. You should therefore keep as still as possible when sitting on the back and avoid any sudden movements. This is especially important when the bike is travelling at slower speeds – such as when white lining between traffic – as motorbikes are less balanced when travelling slowly. Rider safety is just as important for the person on the front of the bike as it is for those on the back. You must therefore invest in the appropriate clothing and safety equipment to protect yourself and that means wearing a suitable helmet (required by law) as well as appropriate footwear and protective clothing such as leathers or textile trousers and jackets. You should also wear thick motorcycle gloves to protect your hands and should make sure you feel comfortable and safe on the bike before allowing the rider to set off. 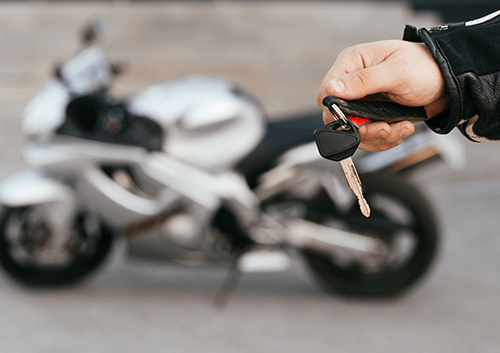 Unlike in a car where drivers and passengers can talk freely, motorcycle riders and their pillions can struggle to communicate when on the road. There are many things you can do to get around this in order to talk to the rider and let them know that you’re ok or that you need to stop. These include everything from using microphone systems fitted in your crash helmets to talk to one and other freely to signalling to the rider in the side mirror using pre-determined gestures – such as tapping them on the left shoulder if you want them to pull over.